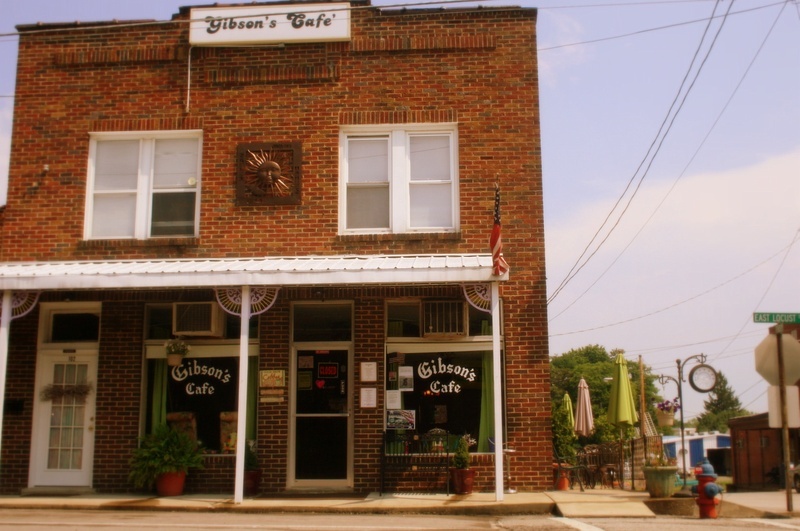 Gibson's Cafe' - Come On In! Come on in and have a look inside! 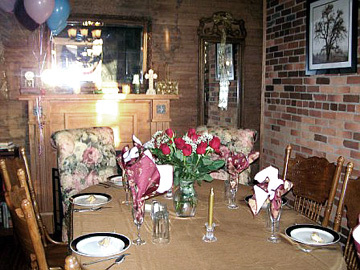 This is where you will find photos of Gibson's dining areas. Must be New Year's! This is a great view of our front dining area. 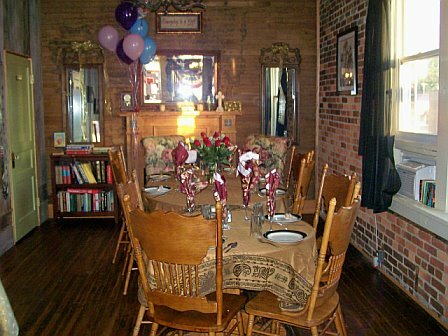 Our back dining room set for an anniversary party. 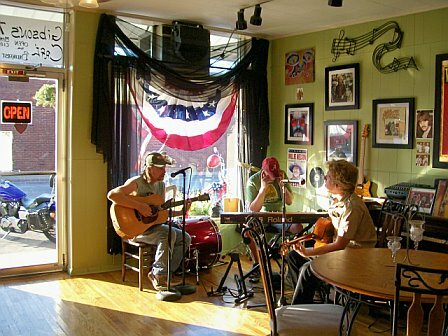 The front room where we play music.